Cryptocurrencies. Some analysts believed that the BTC/USD pair should return to the borders of the three-week side corridor 8,620-9,955, and on May 14 it reached the level of 8,850. However, it didn't manage to gain a foothold at this level, and soon the pair retreated to the values of the beginning of the week in the zone 8,000. In general, the week was quite calm for other major cryptopairs: the Litecoin as well as the Ethereum and the Ripple completed it almost in the same place where they started. EUR/USD. 60% of experts predict the movement of the pair to the east along Pivot Point 1.1800. Graphical analysis on D1 also draws a side channel, indicating the boundaries as 1.1750-1.2000. 15% of the oscillators also indicate a certain growth of the pair, giving signals that it is oversold. The remaining 40% of analysts expect the continuation of the downtrend. Support is at the levels of 1.1700, 1.1665 and 1.1585. Talking about important events of the upcoming week, we should pay attention to the meeting of the FRS Committee on Open Markets on Wednesday, May 23, the ECB meeting on monetary policy on Thursday, May 24 and the speech of the head of the US Federal Reserve, J. Powell, on Friday, May 25. GBP/USD. The experts' opinions are divided almost equally: 35% are for the growth of the pair, 35% are for its fall and 30% vote for the continuation of the lateral trend. As for graphical analysis, it also predicts lateral movement in the range 1.3450-1.3615 on both H4 and D1, after which a powerful collapse and the transition of the pair to 1.3300 zone is expected to follow. USD/JPY. 65% of experts, 95% of trend indicators and 90% of oscillators, as well as graphical analysis on D1 expect the continuation of the uptrend. The nearest goal is the height of 112.00, the next one is 100 points higher. Cryptocurrencies. The main forecast of stock exchange experts on the BTC/USD pair assumes the growth of bitcoin in an effort to reach $10,000. Support is at the levels of 8,100 and 7,900. As for the oscillators, there is no unity among them. For example, MACD on H4 demonstrates a small divergence with a price chart, which indicates the possibility of the growth of the pair. On the other hand, the indicator of trading volumes MFI (Money Flow Index) on H4 is in the overbought zone and looks to the south. On D1, the picture is exactly the opposite. As for other cryptopairs, analysts believe that their correction is completed, and now they will strive up, following the bitcoin. Ethereum (ETH/USD): the nearest target is 740.00, the next one is 835.00, the support is 635.00. 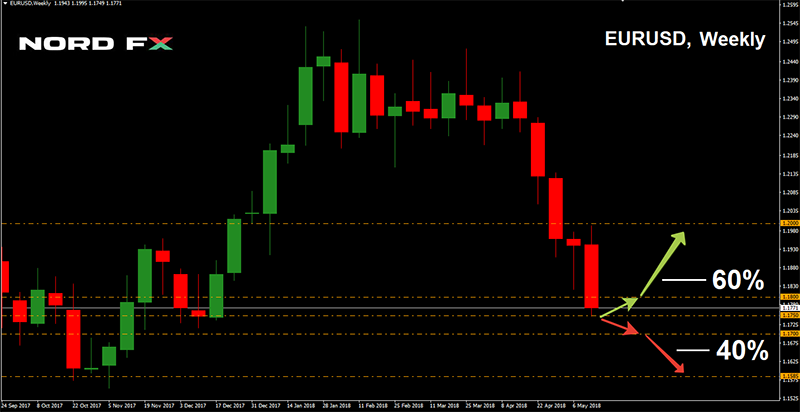 Litecoin (LTC/USD): the goals are 150.00 and 180.00, the support is in the area of 130.00. Ripple (XRP/USD): the target is 0.8850, the main support is 0.6140.